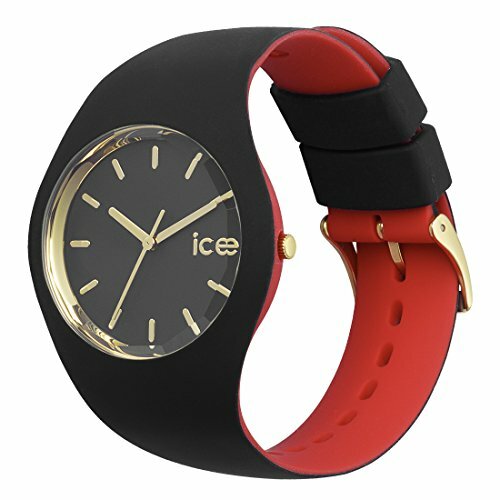 Ice-Watch – ICE loulou Black Gold – Women’s wristwatch with silicon strap – 007235 (Medium). This unisex Ice-Watch Loulou watch is made from plastic/resin and is powered by an analogue quartz movement. It is fastened with a black rubber strap and has a black dial.